Download GBWhatsapp version 4.7 apk - Latest WhatsApp mod! If you happen to be using GBWhatsApp or ENWhatsApp for the purpose of having 2 WhatsApp accounts on single phone, You might have been not able to use it recently as almost all of those old modded WhatsApp files have become absolute. Using modded WhatsApp is not the only option if you want to operate 2 WhatsApp accounts from your phone (Dual WhatsApp), I had listed a quite legitimate option to modded WhatsApp in my previous post: Ways to Install multiple WhatsApp’s. However if you want to stick to using modded WhatsApp, then here is the latest GBWhatsApp Apk. 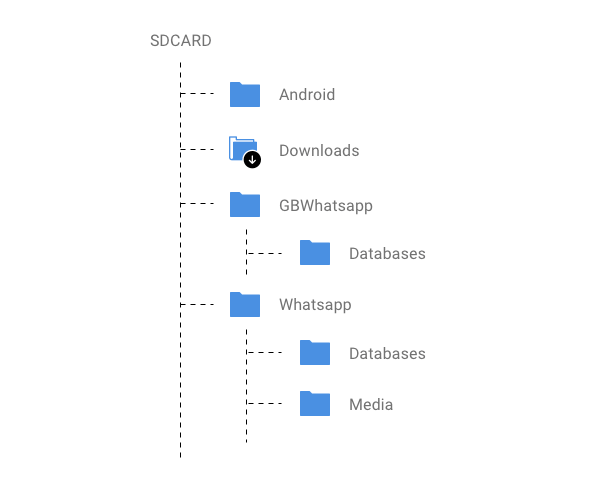 Create a new folder in your root directory of the phone and name it to GBWhatsapp (Follow the same path where your original WhatsApp folder is present. Once you have done these 2 things, Go ahead and transfer GBWhatsApp Apk file to your phone. INSTALL it and follow the verification process of your new account (With new phone number). After verification the app will detect the database file and will ask you whether database needs to be restored. Just skip this step and you are done.